Some months ago Ninth Circuit Judge Alex Kozinski wrote an important piece talking about the many way criminal prosecutions are not fair. A lot of it focused on the imperfect process behind key ingredients of prosecutions — eye witness testimony, fingerprint analysis, plea deals. But he also reprised his argument that we’ve seen an epidemic of Brady violations in recent years. The Supreme Court has told us in no uncertain terms that a prosecutor’s duty is to do justice, not merely to obtain a conviction.38 It has also laid down some specific rules about how prosecutors, and the people who work for them, must behave—principal among them that the prosecution turn over to the defense exculpatory evidence in the possession of the prosecution and the police.39 There is reason to doubt that prosecutors comply with these obligations fully. The U.S. Justice Department, for example, takes the position that exculpatory evidence must be produced only if it is material.40 This puts prosecutors in the position of deciding whether tidbits that could be helpful to the defense are significant enough that a reviewing court will find it to be material, which runs contrary to the philosophy of the Brady/Giglio line of cases and increases the risk that highly exculpatory evidence will be suppressed. Beyond that, we have what I have described elsewhere as an “epidemic of Brady violations abroad in the land,”41 a phrase that has caused much controversy but brought about little change in the way prosecutors operate in the United States. As Zoe Tillman writes, the DOJ is rolling out an effort to tell itself that the mean things said by a top Appellate judge aren’t true. Deputy Attorney General Sally Yates is going to give a speech telling prosecutors not to listen to that mean bully. Deputy Attorney General Sally Yates on Tuesday is expected to deliver a rallying speech to a meeting of prosecutors that is a further response—albeit indirect—to Kozinski’s article. Yates will say that the “overwhelming majority” of prosecutors honor their legal and ethical obligations, including the requirement that they turn over potentially favorable information to defense lawyers, according to a copy of her prepared remarks. Yates’ planned remarks criticize defense lawyers who make allegations of prosecutorial misconduct “a standard litigation strategy,” and others who “irresponsibly” make misconduct allegations. “Prosecutors are in these jobs because we care about our solemn obligation to seek justice, and when someone unfairly impugns that commitment, it strikes at the core of who we are,” Yates, who will speak at the National Prosecution Summit in Washington, is expected to say. And the Associate Deputy Attorney General Andrew Goldsmith and U.S. Attorney John Walsh of Colorado wrote this letter, attempting to rebut that mean bully. On its face, the entire effort is farcical. 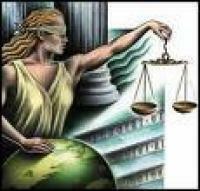 In recent years, DOJ has rewarded lawyers who helped it get away with misconduct. It failed, for years to give proper notice of Section 702 surveillance to defendants, and still hasn’t corrected the record with the Supreme Court about its false claim that it had been doing so. And until this summer, David Margolis served as an unwavering shield against DOJ actually disciplining its own. But the funniest part of DOJ’s pushback is this paragraph from Goldsmith and Walsh’s letter. On several occasions, Judge Kozinski referenced the prosecution of former senator Ted Stevens. The Stevens case, as others have noted, involved significant discovery failures and deserves to be held up as an object lesson to prosecutors. But the Department’s efforts in the aftermath of that case also deserve discussion. One of Eric Holder’s first acts after his swearing in as Attorney General was to seek dismissal of the conviction. In the months that followed, the Department undertook a sweeping review of its discovery-related procedures and instituted a string of new policies. All federal prosecutors, regardless of experience level, are now required to attend annual discovery trainings, while new prosecutors must attend rigorous, multi-day “discovery boot camps.” The Department developed a series of new policies governing the collection and disclosure of electronically stored information. 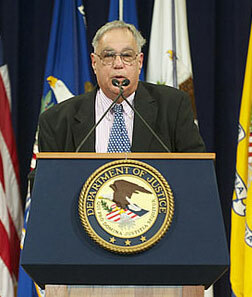 And the Department established an extensive infrastructure of experienced prosecutors to focus on discovery issues, including a full-time national criminal discovery coordinator (who reports directly to the Deputy Attorney General, second only to the Attorney General herself at the Department of Justice) and discovery coordinators at each of the 93 U.S. Attorney’s Offices across the country. That mean bully Alex Kozinski was wrong to bring up the time DOJ engaged in willful prosecutorial misconduct even of one of the most powerful men in the country, they say, because when caught doing so DOJ rolled out a system to try to prevent that from happening again. Except that’s not all DOJ did. First, it went to great lengths to hide the independent review of its actions — a review which showed fairly rampant abuse. Then, when it conducted its own discipline of those who engaged in that abuse, it not only focused on the lower level prosecutors, but it also did nothing more than slap their wrists. DOJ officials recommended Joseph Bottini be suspended without pay for 40 days and James Goeke be suspended for 15 days without pay. DOJ did not find that either prosecutor acted intentionally to violate ethics rules, a finding that is contrary to a parallel criminal investigation. Again, the Stevens case is a picture of what happens when prosecutorial misconduct is wielded against a very powerful white man — someone far more protected from abuse than the average federal defendant — and this is how things ended up, with a wrist-slap. Maybe under her tenure, Yates plans to change this. Or maybe she just wants prosecutors not to worry too much about that bully in the Ninth. But she needs to prove her intent through actions, not words, and thus far there’s little sign of those actions. Update: Patrick Toomey also reminds me that DOJ the National Association of Criminal Defense Lawyers has been trying to get DOJ to share its guidelines on Brady, but thus far they’ve refused to give it over. NACDL has now appealed that to the DC Circuit. The Senate Judiciary Committee is holding a hearing today to review the results of the Schuelke report on the prosecutorial misconduct in the Ted Stevens case and to entertain the Lisa Murkowski bill requiring disclosure. In response, DOJ submitted a statement for the record, opposing any legislation enforcing its discovery obligations. When concerns were first raised about the handling of the prosecution of Senator Stevens, the Department immediately conducted an internal review. The Attorney General recognized the importance of ensuring trust and confidence in the work of Department prosecutors and took the extraordinary step of moving to dismiss the case when errors were discovered. Moreover, toensure that the mistakes in the Stevens case would not be repeated, the Attorney General convened a working group to review discovery practices and charged the group with developing recommendations for improving such practices so that errors are minimized. As a result of the working group’s efforts, the Department has taken unprecedented steps, described more fully below, to ensure that prosecutors, agents, and paralegals have the necessary training and resources to fulfill their legal and ethical obligations with respect to discovery in criminal cases. These reforms include a sweeping training curriculum for all federal prosecutors and the requirement–for the first time in the history of the Department of Justice–that every federal prosecutor receive refresher discovery training each year. In light of these internal reforms, the Department does not believe that legislation is needed to address the problems that came to light in the Stevens prosecution. Such a legislative proposal would upset the careful balance of interests at stake in criminal cases, cause significant harm to victims, witnesses, and law enforcement efforts, and generate substantial and unnecessary litigation that would divert scarce judicial and prosecutorial resources. We are three years past the time when Stevens’ case was thrown out. Yet none of the prosecutors involved have been disciplined in any meaningful way. No doubt DOJ would say that it will hold prosecutors responsible if and when the Office of Professional Responsibility finds they committed misconduct. But in the interim three years, DOJ as a whole has sent clear messages that it prefers protecting its case to doing anything about misconduct. And–as Chuck Grassley rightly pointed out at the hearing–thus far no one has been held responsible. This statement may claim DOJ is serious about prosecutorial misconduct. But its actions (and inaction) says the opposite. As the DOJ statement lays out, in response to the Stevens debacle, DOJ rolled out annual training programs for prosecutors to remind them of their discovery obligations. And yet, last year, Leonie Brinkema found that prosecutors in the Jeff Sterling case had failed to turn over critical evidence about prosecution witnesses–one of the problems with the Stevens prosecution. The prosecutor involved? William Welch, whom Schuelke accused of abdicating his leadership role in the Stevens case (note, DOJ says the CIA is at fault for the late discovery; but Welch is, after all, the prosecutor who bears responsibility for it). If William Welch can’t even get discovery right after his involvement in this case and, presumably, undergoing the training DOJ promises will fix the problem, then training is not enough to fix the problem. The statement focuses on Holder’s quick decision to dismiss the case against Stevens, as if that, by itself, guards against any similar problems in the future. 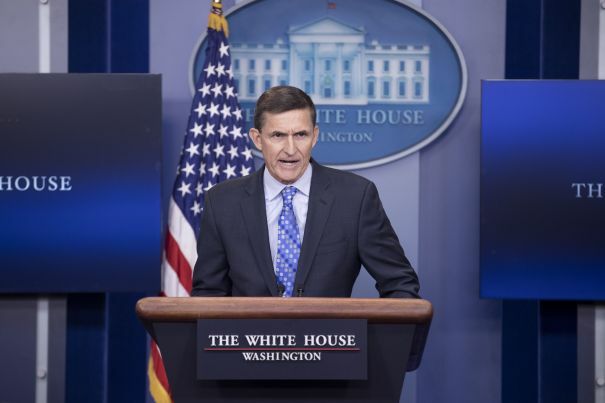 But before Holder was AG, Michael Mukasey was–and Judge Emmet Sullivan grew so exasperated with Mukasey’s stonewalling on this case, he ordered him to personally respond to questions about the case. https://www.emptywheel.net/wp-content/uploads/2016/07/Logo-Web.png 0 0 emptywheel https://www.emptywheel.net/wp-content/uploads/2016/07/Logo-Web.png emptywheel2012-03-28 12:33:132012-03-28 17:13:41Anonymous DOJ Statement: "Trust Us"
Given Sullivan’s latest order, I think the answer must be that Welch is not one of the four DOJ lawyers most badly implicated in the report. That’s because DOJ, which after all still employs Welch to prosecute whistleblowers, had no objection to the report being released on March 15. The Department of Justice’s Notice advised the Court that it “does not intend to file a motion regarding Mr. Schuelke’s report” and that “[t]he government does not contend that there is any legal prohibition on the disclosure of any references in Mr. Schuelke’s report to grand jury material, court authorized interceptions of wire communications, or any sealed pleadings or transcripts that have now been unsealed.” Notice of Dep’t of Justice Regarding Materials Referenced in Mr. Schuelke’s Report, at 1-2 (“DOJ Notice”). In addition, the Department of Justice informed the Court that it was not asserting any deliberative process or attorney-work product privilege with respect to the information contained in Mr. Schuelke’s Report. Criminal Division head Lanny Breuer has already proven himself more than willing to hide the misconduct of his prosecutors; I have no doubt he’d do so here if it badly implicated any of his current attorneys. So I’m guessing–though that is a guess–that Welch is not one of the four fighting to prevent this release.